The breadth of research interests pursued by the group internally or in collaboration gives rise to a multitude of exciting opportunities for the training of young scientists studying for a PhD. We offer a young international environment and dedicated personal coaching. According to project needs, we also support short placements of students with international collaborators. We encourage students to pursue stipends and fellowship programs, always providing strong support for student applications. Students are expected to show enthusiasm, diligence, perseverance, and a zeal for discovery and learning. Depending on their PhD project, students should bring prior knowledge from the fields of software development, heterogeneous databases, mathematics, statistics, molecular biology, and experience in experimental laboratory work. From all students we expect an interest in working with computers, a sufficient command of English, which is the working language of the group, and a certain independence. We kindly ask students with an interest in one or several of the group research interests to contact us well in advance. As a rule, we expect candidates to pursue stipends on their own initiative. In this context, the BioToP international PhD programme and support by your local student union may be of interest. In addition, for some projects, the best students can be supported from group funds. Our group is part of the Department of Biotechnology at the University of Applied Life Sciences and Natural Resources, Vienna (Boku University). There is a German Wikipedia article giving an additional overview. Students at Boku have their own organization, the Österreichische Hochschülerschaft (ÖH). While their web page is in German, people will be happy to help if you contact them in English. The City of Vienna and the ÖH provide further general information on studying in Vienna (Vienna Webservice, ÖH-Rubrik [German]). Living and working in Vienna much benefits from the outstanding services provided by the city and the state (strong public health service, exemplary public transport, ...). There moreover is a plentitude of recreation areas in easy reach, within the city or in the Vienna Woods, the Burgenland lake district, and the Semmering alpine mountain range. Together with the rich and varied cultural choices on offer, they contribute to the high value of leisure time in Vienna. Residents form a very international community – about one in five of the over 1.6 million people living here is a foreign citizen. 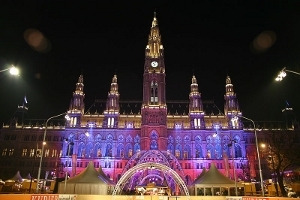 The unusual quality of life that attracts people to Vienna is regularly reflected in international studies, which consistently rank Vienna within the top three cities for general quality of life worldwide (Vienna Tourism, Mercer Consulting). Students and scientists do not need a work permit in Austria. In many cases, a work permit is also automatically granted for non-scientific work (Centre for migrant advice, ÖH). A residency permit is required but granted automatically for students and researchers of a certified research institution (like Boku; details in German).